Have you ever opened up a recipe book, found a delicious recipe that looks so tempting to make, and discovered that it called for either orange or lemon zest? Who actually has that on hand? Citrus fruits are great, but the reality is that they're not always in the kitchen when you're in the mood to bake. Fortunately, there's no need to keep fresh fruit on hand all the time. All you need to do is think ahead and dry citrus peels when you do have them. They'll be ready for that next impulse you have to bake. Lemon and orange zest are just two of the many herbs, spices, and fruits that you can dry at home and have ready for all of your baking needs. Grated lemon or orange peel is a common ingredient in fruit bread and quick bread recipes. The peel, rind, or zest gives the bread an incredible citrus flavor that can't be found in artificial flavorings (don't even bother testing artificial flavors because they never measure up to the real thing). On occasion, you might encounter a recipe that calls for lime zest and it's good to have that available as well. While you'll want to use freshly grated zest as decoration on iced breads, cakes, and cupcakes, the dried zest is just as delicious as fresh zest when baked into the dough or batter. 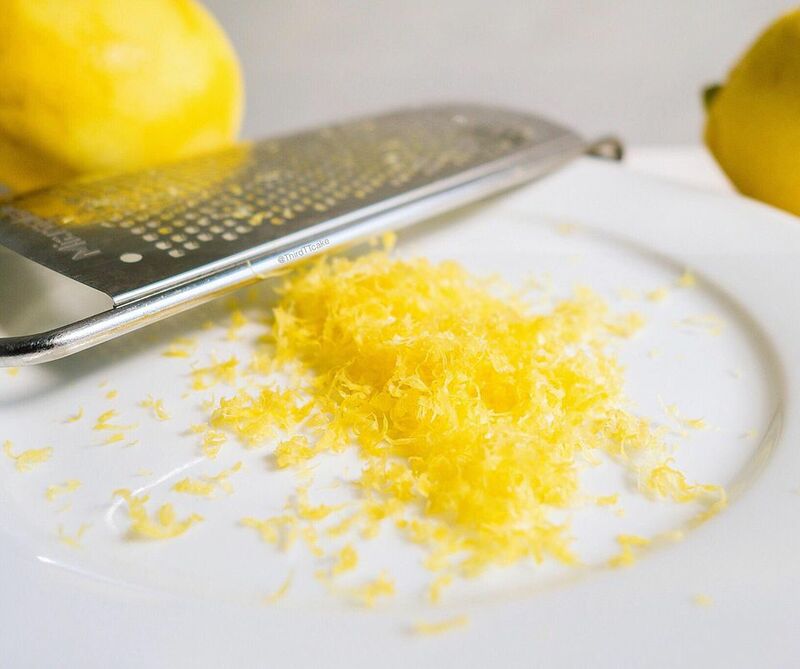 There is no magic secret to drying lemon or orange zest -- you just need time and patience. If possible, choose organic oranges or lemons. Thoroughly wash and dry the fruit. Carefully use a citrus grater to lightly grate off only the top layer of the skin. You want only the flavorful orange or yellow part of the peel. Avoid grating the white pith because it makes baked goods taste bitter. Transfer the grated peel to a flat dish or place it onto a piece of wax paper. Leave it overnight or longer, if needed. When the grated peel is completely dry and coarse, store it in a clean glass jar. Keep it out of the sunlight to prevent fading. When it's time to bake, crush the peel between your fingers before adding it to other ingredients. This will release the citrus essence and flavor. Use in the amounts called for in the recipe. Don't throw away the fruit! The grated oranges and lemons can be juiced for baking or drinking. You can also store the fruits in a plastic bag and store it in the refrigerator until you are ready to use them. You will find that citrus zest is also useful for a variety of other foods and give the dish a pop of flavor. Add dried zest to your poultry marinades. Orange is fantastic with duck, and lemon-rosemary chicken is a quick and easy meal. A pinch of dried zest can even add sparkle to the kids' instant pudding snack. Or, if you're in the mood, use it to make fresh lemon pudding. Make your own lemon sugar. Add it to your tea for a bright splash of flavor. Discover the joy of putting citrus zest to use in your home for everything from cleaning to homemade beauty products.